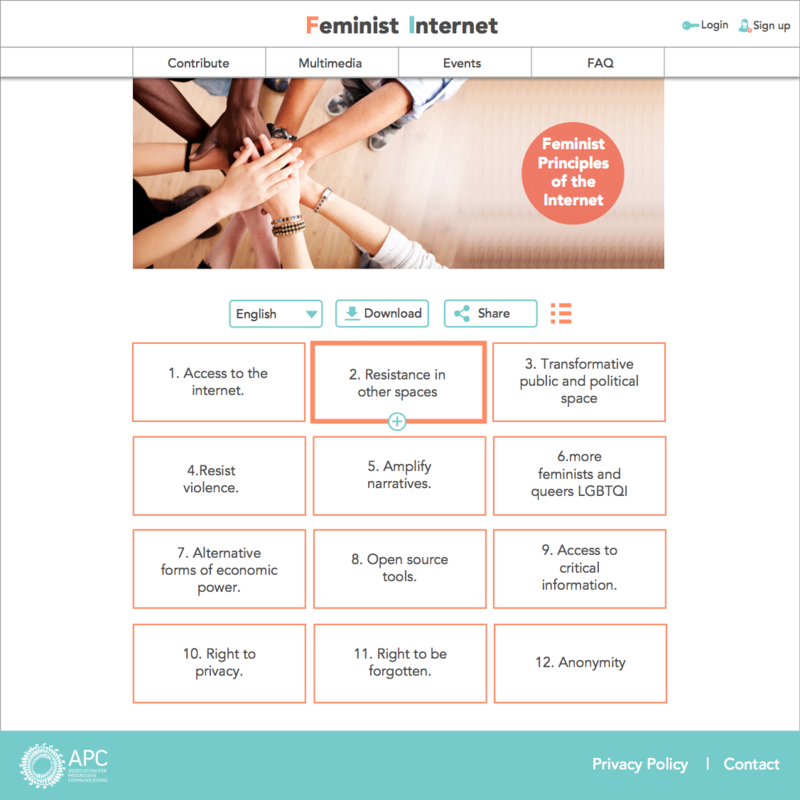 This is an interactive web platform built around APC's "Feminist Principles of the Internet". This is one of the projects I worked on as a Ford-Mozilla Open Web Fellow. UX researcher and UX designer. Design tools: Invision and Sketch.